It seems that rain records are being broken every year. Nashville, Tennessee, just had its wettest February ever, surpassing the average rainfall by more than 10 inches! Parts of California have feet of accumulated snow. When all that snow melts, it turns to water. So just because you don’t get a lot of rain doesn’t mean you’re not in a wet area. If you live in one of the cities that gets snow in large quantities, at you may end up a deluge of snowmelt several times a year. No matter where you live, you need to have a quality gutter system that has been properly sized and installed on your home to keep your basement dry and protect your foundation or crawlspace. Your gutters can do their job even more effectively when you have top-rated gutter guards keeping leaves and debris out. So, what do you need to know about gutters if you’re in an area that deals with heavy snowmelt or lots of rain? Gutters come in various widths, the most common being five inches. That may not be sufficient if you live in a tropical storm zone or other areas with heavy rain. The pitch and size of your roof also will determine the gutter size you should have. 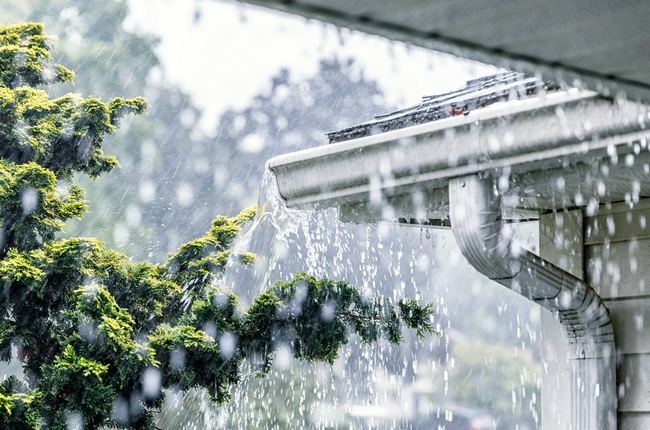 If you’re in an area that receives lots of rain in a short amount of time and have a steep-sloped roof, consider six- or seven-inch gutters to prevent overflow. When you request quotes from various gutter installers, don’t just accept a number. Ask about the number of downspouts and their location, along with the gutter width. Find out if they also offer rain gutter covers products and what brand they install. Keeping your gutters clean will help them work properly. The gutter installer may also recommend larger downspouts to go with the larger gutters. Perhaps most important is that your gutters are properly installed. That means they have the right pitch, or slope, for the water to run to the downspouts at the proper rate. Too much slope and you could end up with overflow at the downspout. Too little and you could end up with water sitting until it has no choice but to go somewhere else – which may mean over the edge of the gutter. Good installation also includes the right gutter fasteners. When you have snow, ice or lots of rain sitting in your gutters, you need them to be able to withstand the excess weight, which means sturdy hangers or additional hangers or screws. Even the best gutters can’t do their job if they’re clogged. If you’re going to research the best rain gutters, you also want top-rated gutter guards to keep your gutter clean. When you call Gutter Helmet® to schedule an appointment with your local installer, you’ll find out why we’re a leading installer of rain gutter covers products for all gutter styles. Contact us today at (800) 824-3772 and we’ll connect you to your local installer, or you can click on our chat icon for more information.